Here is the most important lesson I’ve learned in 15 years of marriage. We met as kids. He passed me notes and kicked the back of my chair in 7th grade music class. 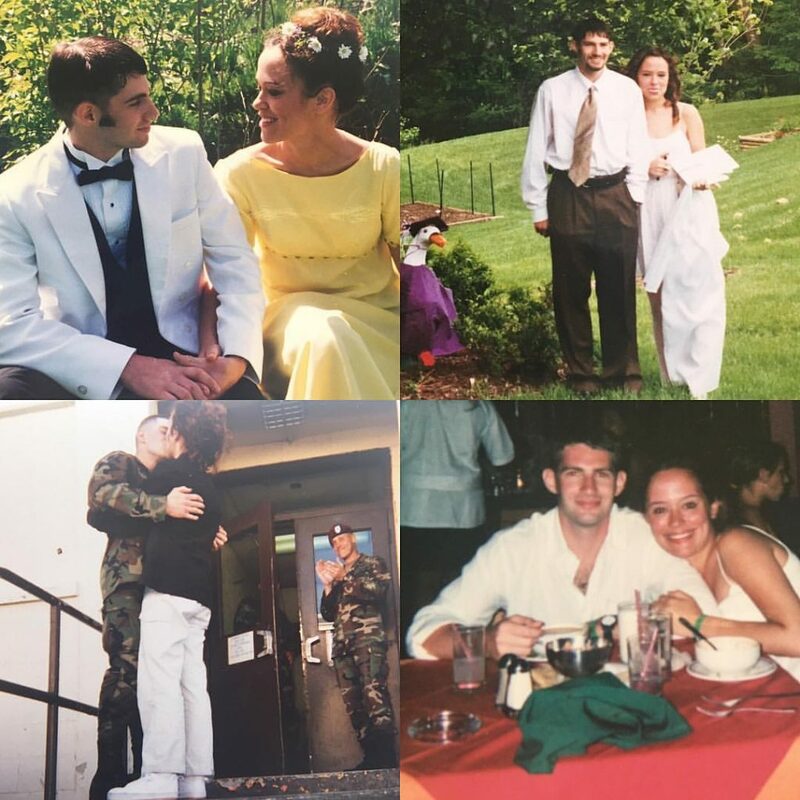 We were friends for years and had so many shared experiences together – high school dances (that’s the night of Senior Prom at the top left), high school graduation day (top right), summer days canoeing the Little Miami River, concerts, festivals, football games, me going to visit him at the old Boston Market, and millions more magical little moments. Then, while I was still in college & he was enlisted in the Army he surprised me with the most romantic proposal during one of my visits. He had a mic, professing his love for me in front of dozens & dozens of Army guys! He got down on one knee, asking me to spend forever with him 💛 We were married August 25th, 2001 and the rest is history – fifteen years in the making! We had a quick honeymoon in Cancun, (bottom right) and went right back to babies & doing battle for our marriage. It may be easy to think high school sweethearts that go the distance must have it all together, but that couldn’t be further from the truth! We have learned & learned again that feelings aren’t what sustain a marriage over the long haul – in fact, feelings often lie to you. They’ll convince you you’ll never make it through, like I often felt while Brian was traveling full time. Though it’s easy to forget, the truth is that a strong marriage requires two people who choose to love each other even when they struggle to like each other. What have you been learning about marriage? Please share – this is one of my favorite topics! For more milestone moments & anniversary lessons, click here next!